Where have you gone Jimmy Butler? A Bulls nation turns its desperate eyes to you. Isaiah Canaan was sitting next to Butler, listening. He was inactive and actually winced when a weary sounding Butler said he didn’t know quite what was going on. It was an unusual response from the usually intrepid Butler. 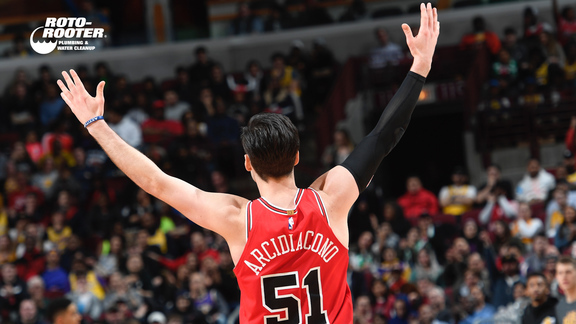 The Bulls have won some games, lately five of seven as they are back at .500 at 31-31. They head for Detroit Monday for the first of four of five and six of nine on the road. Though the Eastern Conference playoff race remains bunched, a big slump could send the Bulls tumbling badly. If the Bulls are to make any kind of run or statement, they need Butler, who is truly their only reliable scorer. Dwyane Wade came out of the All-Star break rested and strong, averaging 20.7 points and shooting 51 percent the first three games. He had 10 points on two of 11 shooting Saturday and is seven of 26 shooting the last two games. Wade has had sequences like that this season, which isn’t unexpected at 35. It’s Butler who has carried the Bulls in the best parts of this season, and he’s clearly trying to push through a difficult stretch that is getting longer. He did have a bothersome heel problem that kept him out four games in February. He’s struggled since, averaging 17.5 points and shooting 39 percent since his return just before the All-Star break. Butler averaged 24.5 points on 45 percent shooting before the All-Star break and 17.2 points and 38 percent shooting since. He’s had one game over 30 points the last two months. True, the team wants to push the ball more and play less isolation. But the Bulls need Butler’s offensive threat. They’re hoping it’s just a bit of fatigue and slump. Even though they are your brothers, they can be heavy. The Bulls were doing a good job getting going in this game, a 29-23 lead after the first quarter and 61-55 at half with 19 assists and a 13-4 fast break edge. Robin Lopez was hitting pop out jumpers with 12 first half points, Cristiano Felicio was getting easy baskets running with Rajon Rondo ahead of the Clippers big guys and Paul Zipser was finding nice open spaces and made all three of his shots. Bobby Portis also ran himself into nine first half points and back to back dunks late in the first half as the Bulls made the Clippers look like they were finishing a road back to back. Which they were. The second half began with some bad choices and bad luck, the Bulls going to isolation jump shots and suddenly leading 65-64 four minutes into the third quarter. 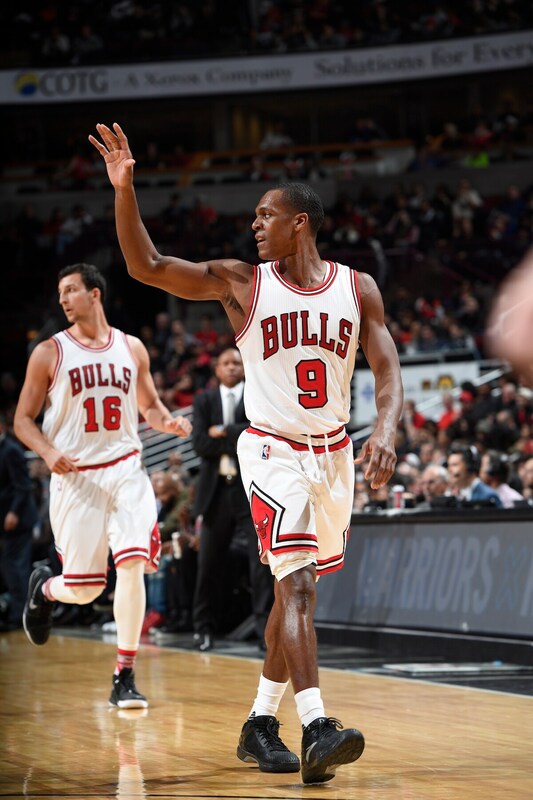 Suddenly, Rondo has emerged as the point guard the Bulls expected, the team’s best at getting the pace and energy going. 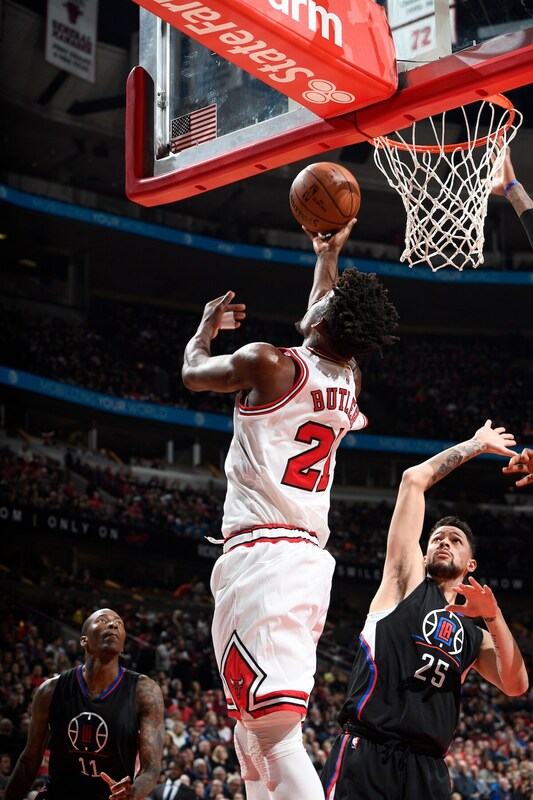 He and Butler made threes for a 71-70 Bulls lead with 4:52 left in the third quarter. But running back after his three, Rondo stepped on the foot of Clippers coach Doc Rivers, who was standing out of bounds, and suffered a fairly severe sprained ankle. “It’s just a little sore,” Rondo said after the game. “I stepped on Doc’s foot. It’s unusual. It tweaked pretty bad; that’s part of the game. Not necessarily getting stepped on by a coach, but it’s part of the game as far as tweaking ankles. Doing a lot of treatment on it, preventative ankle injury thing, so it should respond. 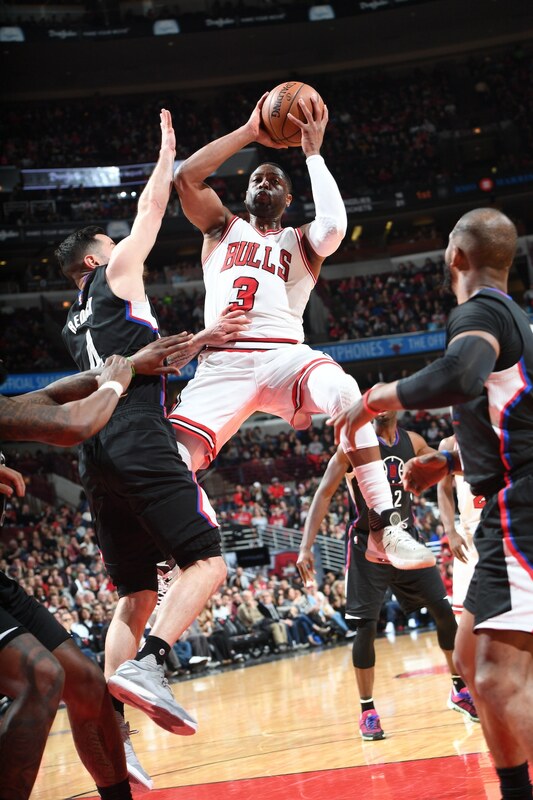 The Bulls then absolutely went cold, failing to score a field goal the rest of the quarter as the Clippers closed with a 10-0 run for an 82-73 lead after three quarters. Rondo would return late in that third quarter, but his ankle clearly was bothering him. Then one time Bull Jamal Crawford lit up the scoreboard, outscoring the Bulls 10-7 in the first five minutes of the fourth quarter. 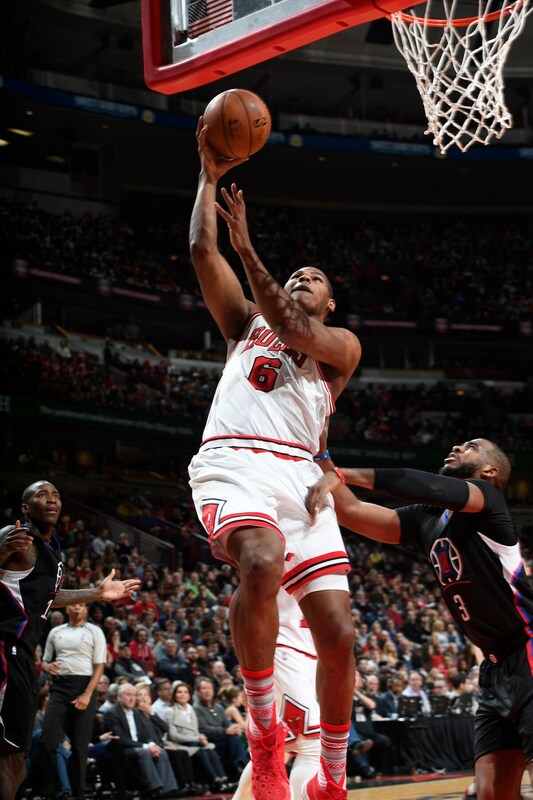 Suddenly it was 96-80 Clippers and the Bulls wouldn’t get back within single digits the rest of the game. They’d have a season low 30 second half points and tie a season low with 12 in the third quarter. They shot 29 percent in the second half with 13 turnovers. Butler had eight second half points; Wade shot zero for seven. The Bulls starters were three of 19 in the second half and scored 13 total points. So now the Bulls go after having six of their last seven at home around the All-Star break. Make or break?